What’s the best guitar compressor? It’s a difficult question, but we did tons of research and tests to come up with a definitive answer. Find it inside. Hand-built for consistent response and performance but is not the best value on the list. The Behringer CS400 is the perfect guitar compressor for players on a budget. The full range of controls eliminates the need for a separate EQ control, saving you both space and money. 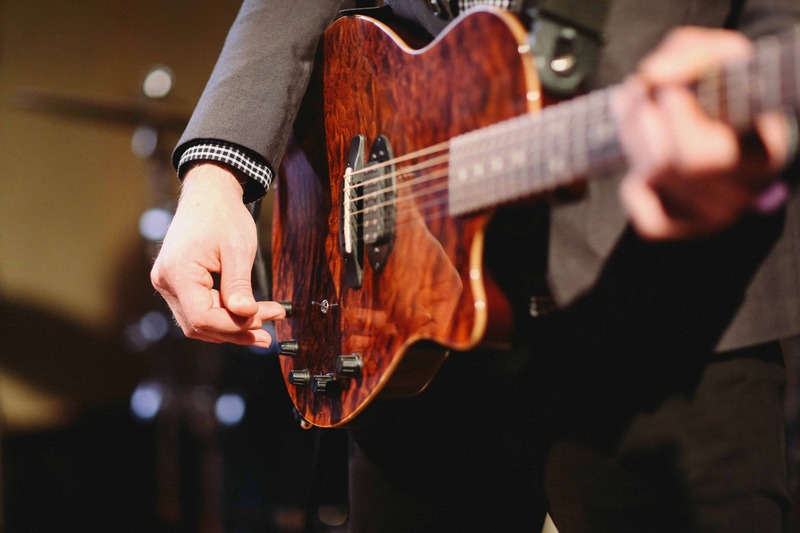 Its small size and all-metal construction make it a smart choice for gigging guitarists. 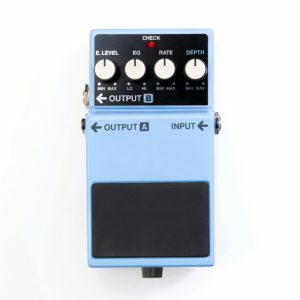 The volume and sustain controls are similar to what you’ll find on other compression pedals but it also gives you a 3-way toggle for the attack speed. 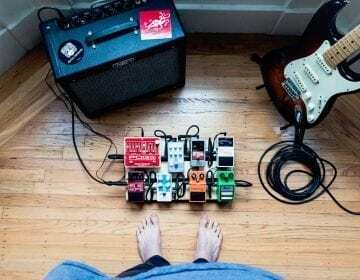 Compression pedals might not be the flashiest effects you can buy for your rig, but most guitarists consider them to be essential equipment. The best guitar compressor will even out the response across your strings, improving the feel along with the sound. They're especially great for improving the sound and feel of sustained tones. Like with most stompbox effects, you’ll find a lot of variety when you’re shopping for guitar compression pedals. Many of them are designed for transparency, with the goal of evening out the guitar’s sound without losing its natural, unique qualities. Other players like a more pronounced or squeezed compression effect. You may also want to invest in a volume pedal as well if you want to really start playing with different sounds. And no collection is complete without a tuner. You’ll find options on the list below to satisfy any tastes, and one of them is sure to deliver the flavor of compression you’ve been looking for. While factors like value and durability are important, a pedal is useless if you don’t like the sound, no matter how well it’s constructed. 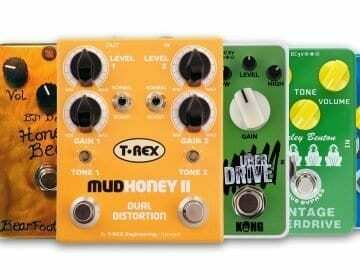 The wider the range of tone controls the pedal offers, the higher the price point is likely to be. That extra investment is worth it if it means they can dial in their perfect tone. One of the problems, when you’re shopping for any kind of guitar pedal, is the huge variety of options you’ll find on the market. Especially with an effect like compression, the sound and feel differences between pedals can be subtle. How hard you’ll have to search to find one that works for you will often depend on how particular you are about your tone. Figure out exactly what you’re looking for. Identifying one or two key factors as being the most important can help you to narrow down your options. Check out the infographic below for some of the most common factors that determine a player’s ideal guitar compressor. More isn’t always better. The simplicity of two-dial interfaces can make them easier to adjust mid-performance and are often smaller, too. 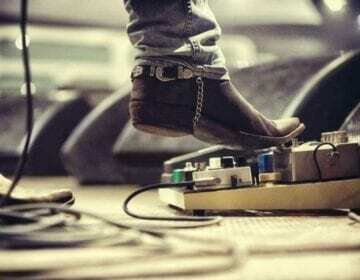 Consider whether you need fine tone adjustment before investing in a more complex pedal. Use your ears during the shopping process. If you can’t make it to a music store to play around with the pedals yourself, you can find videos on YouTube of other guitarists using the pedals. This will give you a better idea of whether it matches your sound or not. Most compression pedals you’ll find today are digital, but you can find analog versions (including the Empress on this list). Devotees of analog pedals love their distinctive tone, but they are a bigger investment in terms of both money and size. Digital compression pedals are certainly the more popular choice. 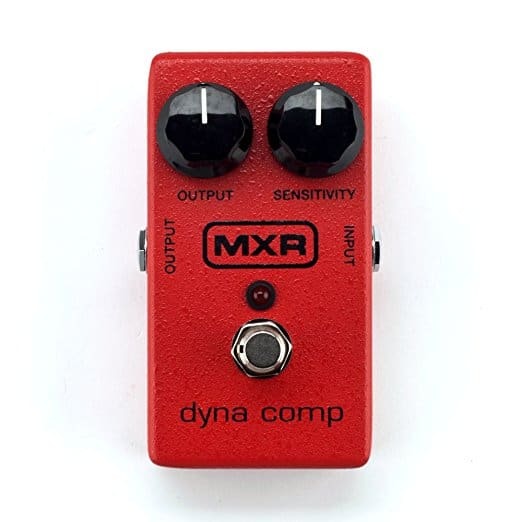 The Dyna Comp from MXR gives you a compression effect that’s incredibly versatile. For proof, just look up the wide range of professionals that use them. 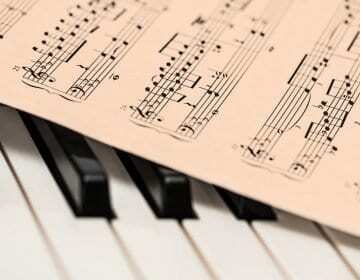 The way it evens out your tone and works well with other effects makes it suitable for pretty much any genre. Aside from tone, the simplicity of the interface is the biggest selling point of this unit. The two knobs for output and sensitivity are clearly labeled and designed to be simple to both use and read, even in less than ideal lighting. 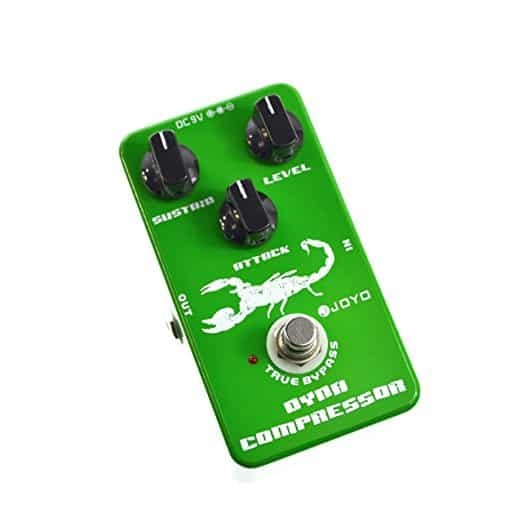 The Dyna Comp is simple, small, and sounds great—everything you need in a compression pedal. Its small size and easy-read display make it a great choice for gigging professionals, especially considering its impressive versatility. 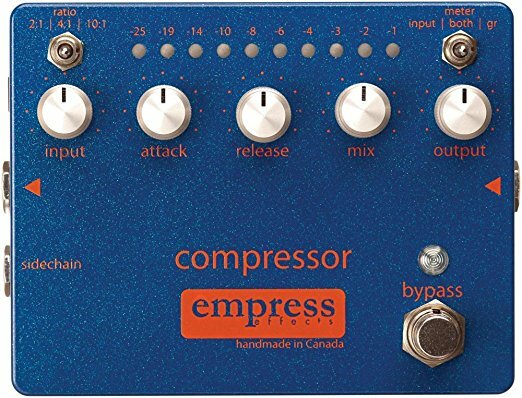 The Empress Compressor just might be the choice guitar compressor in terms of sound quality. It’s designed with a mind toward complete tone control, and the array of onboard shaping options reflects that. This does mean the pedal can take a bit longer to learn how to use, especially if you’re used to more streamlined compression stompboxes. 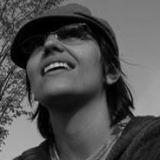 But it also gives you the power to tweak your tone in ways you might not have realized were possible outside a recording studio. 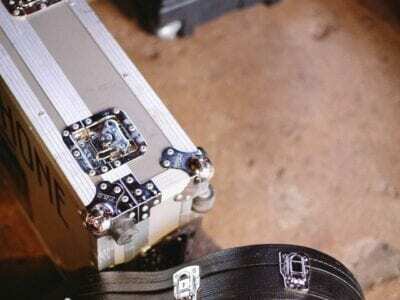 This pedal’s transparency is especially impressive. While you can get it to add new colors to your sound by adjusting the controls, it also allows you natural signal sound to come through—just a bit cleaner and more even than it would be without the pedal. The all-analog signal path maintains the integrity of your tone, and there’s a true bypass to keep your signal unaffected when the pedal’s not in use. Empress is renowned for the quality of their effects. Every pedal is hand-assembled by their small, dedicated staff—go to their website, and you can learn the name of everyone involved in building your device. Every little component in each pedal is crafted and placed with care, giving them an exceptional consistency across devices. 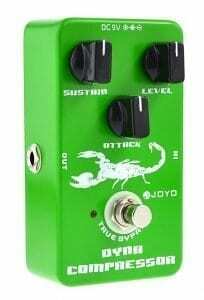 Joyo has made a name for themselves creating affordable versions of the popular effects every guitar player needs on his rig. The JF-10 is their version of a dynamic compressor, and while it might not be the best option for every player, the build and sound you get for the price make it an impressive value. The sound of this compression may be a bit bright for some players. It has a massive output, making it a great choice if you want to give your sound an overall boost, though the compression itself isn’t as dramatic. The JF-10 won’t give you extreme squeezed compression, but it will enhance your tone reliably and affordably. It works well with a wide range of equipment and other effects, too, making it an excellent go-to choice for gigging professionals. The compression effect you get out of this pedal from Xotic is based on the Ross Compressor, which has been called the holy grail of effects pedals. 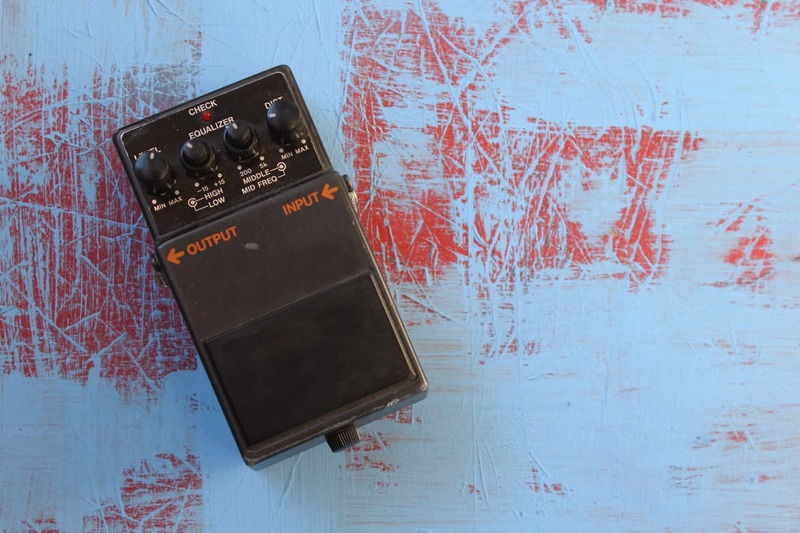 It offers the same warm color you’d expect from a Ross pedal but gives you a wider effect range, with a boost of up to 15dB, making it in many ways an even more useful pedal than the iconic one it’s modeled after. 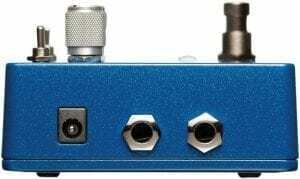 The operational transconductance amplifier (OTA) in this pedal uses the same technology as the classic Ross Compressor, the reason for their similarity in sound. It gives the Xotic SP Compressor a beautiful, rich sound with a lot of versatility. Tweaking the dry blend knob gives you a wide range of tonal styles. Whether you want an effect that’s modern or vintage, subtle or in-your-face, this pedal can do it all. 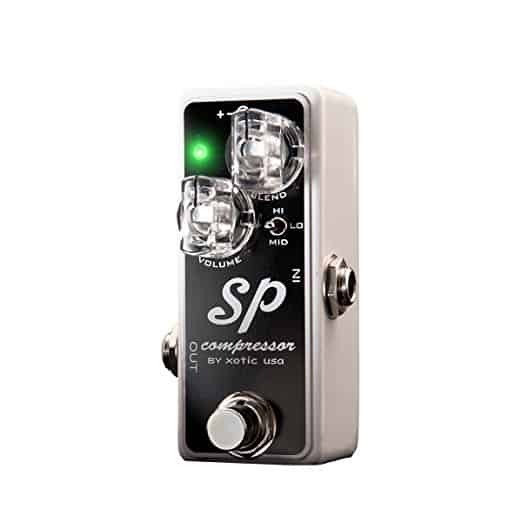 In terms of design, the Xotic SP Compressor is a compact pedal that weighs right around a pound and will fit easily on any pedal rack. The interface is simple and clear, with knobs for volume and blend and a footswitch to toggle the effect on and off. This is another OTA pedal modeled after the classic Ross compressor. While it will set you back a bit more in terms of price than the Xotic pedal above it also gives you more control options, letting you customize the effect to perfectly match your needs. All Wampler pedals are constructed by hand in the United States. The build quality is consistently solid—whenever you buy a Wampler pedal, you know you’re getting a good one. The Ego Compressor has an impressively quiet operation, with almost no extra noise no matter how you set it. 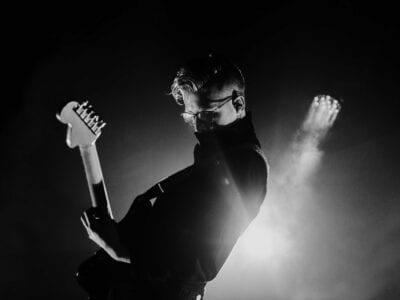 In terms of the feel and transparency of the effect, it stays true to the Ross Compressor tradition. The Wampler Ego is a great guitar compressor if you’re looking for a pure and transparent OTA tone. For some players, though, the improved tone doesn’t quite justify the higher price tag. 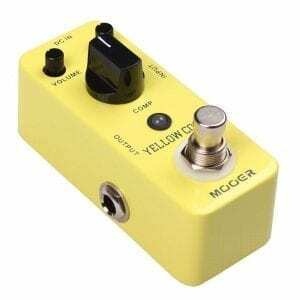 If you need heavier compression, this pedal can provide it, and without any coloration of your sound. 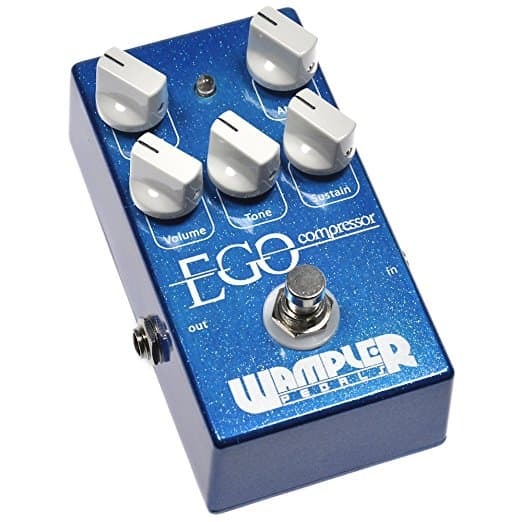 If you just want to even out your tone, the Wampler Ego might be more pedal than you need. If you want complete control of your tone but you’re also on a budget, consider the CS400 from Behringer. This little stompbox has four different control dials, letting you adjust the Tone and Attack as well as the volume and sustain. The end result is a compression effect with a lot of finesse, one that can out-perform some pedals that cost twice as much. The controls on the Behringer are relatively easy to get the hang of, although you might find it takes a bit of fiddling to get the right mix for your sound. The range of controls does make this a very flexible and versatile pedal, and it’s one of the most affordable ways to get heavy compression that doesn’t squeeze your tone to death. The main critique people have about the Behringer is its casing. It’s built of a hard plastic that’s fairly durable but won’t stand up to abuse as well as an all-metal stompbox. In terms of sound, though, the Behringer CS400 is the perfect guitar compressor for players on a budget. The Boss CS-3 has some of the tightest dynamic control of any of the pedals on this list. It gives you the fat sustain you want out of a compression pedal but that’s not all it can do. The full range of controls eliminates the need for a separate EQ control, saving you both space and money. 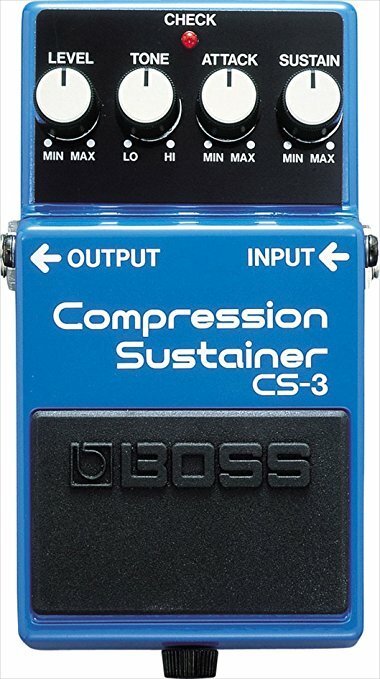 The CS-3 uses the classic Boss pedal design. The large footswitch makes it easy to activate the pedal quickly. 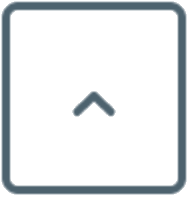 Since it’s raised and set away from the controls, there’s less chance your foot will slip and screw up your settings. With separate controls for the attack, sustain, and tone, you get a lot more options for customizing your sound. When you use the Boss CS-3, you’ll get more than just a more balanced response across your strings. You’ll also get an overall improved tone, with more clarity on your attacks and a longer, smoother sustain. If you’re looking for a simple, classic compression, the Yellow Comp is just enough pedal to meet your needs without getting in your way. This is the second entry in the company’s Micro Pedal line, which brings you quality effects in a palm-sized pedal, perfect for any gigging musician. The way the Yellow Comp smooths out the decay of your notes is especially impressive. It’s not a pronounced effect. There is absolutely no tone coloration, just a subtle improvement to your overall sound. Your sustained tones will be fuller with a more natural decay, and the response across the range will feel more balanced. If you’re basically happy with your tone but just want to give it that extra smooth tone you hear from the professionals, the Yellow Comp will give you exactly what you’re looking for. Its small size and all-metal construction also make it a smart choice for gigging guitarists. 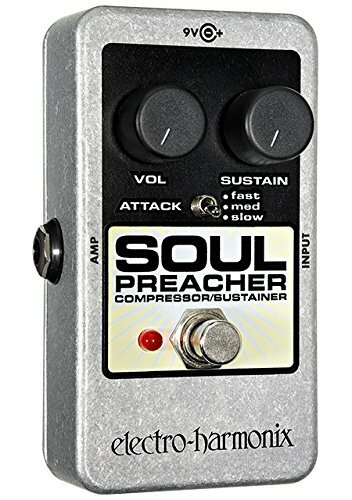 The Soul Preacher comes from Electro-Harmonix’s Nano series and uses the same rugged, compact housing as the other entries in the line. 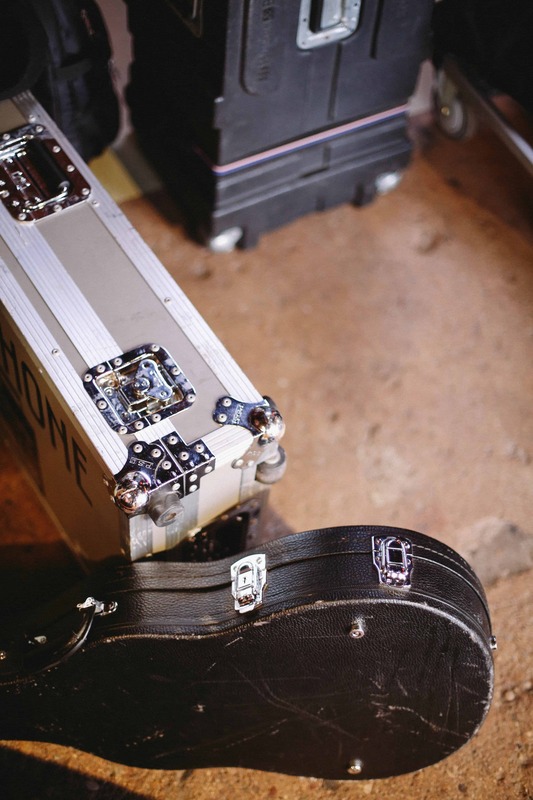 The size of it makes it easy to transport, while the construction quality means it will stand up to the demands of a gigging musician. It’s not the best option if you want a super-tight or squeezed compression sound, but it will give you a resonant, even tone with a great clarity of articulation. As with other compression pedals, the main complaint against this model is the amount of signal noise at higher gain levels. The sound quality of the effect is also more variable depending on what other equipment you have. 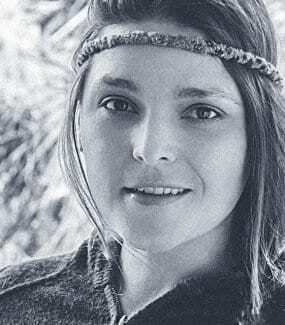 It has a better sound paired with tube amps than solid state models, and you may find you need to experiment with where you connect it in relation to your other effects to get the tone you’re looking for. Compression pedals come in at pretty much every price point, and you’ll find as much variety in the complexity of the effect as you will in the cost. Generally speaking, the more extensive the onboard controls, the more the pedal will cost you. 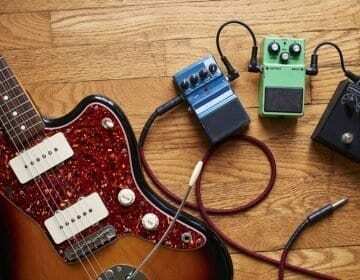 Higher-end pedals also tend to produce less signal noise and to give you more tonal transparency. There’s not necessarily one best guitar compressor. If you asked a room full of guitarists what they use they might each have their own answer. It’s really a question of how much compression you need. Once you’ve answered that question, you’ll be able to narrow down your list considerably. 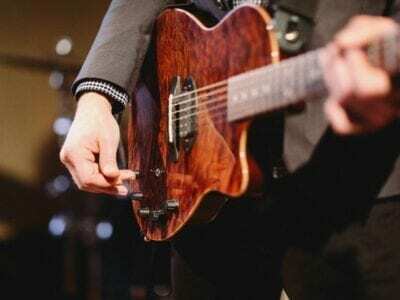 If you’re unhappy with the sound your current guitar is producing, you may also want to consider selling it and buying another. Add another to your collection. Our reviews of the best guitars under $500 is the perfect place to start your search. But for now, take a look at our favorite guitar compressor so you’re ready to rock ‘n roll. It’s an iconic pedal with a classic sound, and its small size and durability make it a great choice for taking on the road. Aside from tone, the simplicity of the interface is the biggest selling point of this unit. The two knobs for output and sensitivity are clearly labeled and designed to be simple to both use and read, even in less than ideal lighting. This pedal will give you a bright sound and a huge output. It especially stands out if you want to boost your sound. 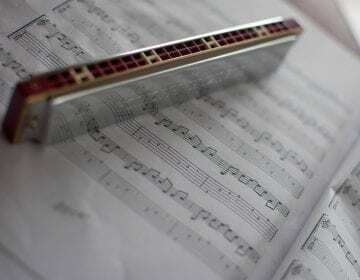 Gigging professionals will appreciate the versatility to use with a multitude of instruments. And the price, it’s hard to overlook. There are a lot of good choices out there, though. Be sure to tell us which one works best for your gear in the comments below. Other players with a similar sound and set-up might find your top choice is theirs, too! Do these pedals come with a power source? Many of them do not. Even if the pedal can run on batteries, it’s a good idea to have a 9V DC power adapter on-hand as a back-up in case the batteries fail. You can use the same ones you have on-hand for other pedals, but if you need to buy a new one you can find them for around $5-$10 on Amazon. Should a compressor pedal go before or after other effects? That depends on whether you want the compression to apply to the effects or not. If you do, make the compressor your last pedal; if you don’t, you can put it first. If you’re not sure which choice is best, experiment with different placements until you find the one you like. What is a true bypass? This has to do with how much your signal is handled when the effect is powered off. 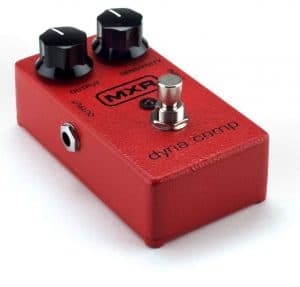 If there’s a true bypass, the pedal basically becomes a wire, and your signal is sent straight to the amp without any interference or buffering. If there’s not a true bypass, the signal will still be slightly buffered by the pedal even when it’s off.